Taste Great Beers by Large Beer Makers, and Smaller Artisan Breweries! 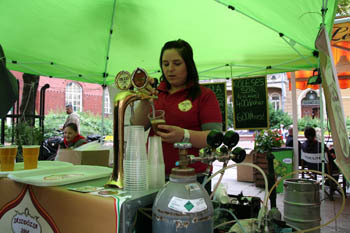 The Beer Festival on Szabadság Square and the other, smaller festivals (Belgian Beer Festival, Czech Beer Festival) offer opportunity for beer lovers to taste the best beers made in Hungary and in other countries. This year the downtown beer fest will be 5 days long between 05 – 10. June 2019. Besides wine celebrated on the numerous wine festivals organized in Budapest throughout the year, beer, especially specialty beer made by small, craft breweries, has become more and more popular in recent years. Location: Szabadság tér/Liberty Square, district V.
Date: 05 – 10. June 2019. The June beer festival moved from Buda Castle to Szabadság tér in 2017, a spacious park in downtown Budapest. await visitors on the 5-day event in June. No doubt beer is in the limelight of the festival, but a series of great programs offer a wonderful time for all ages. 40 musical bands give concerts during the five day event. The tasting expert of the Dreher Beer Factory lets you in the secrets of beer tasting and professional tapping. 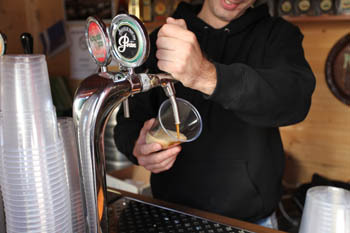 You can also try your hand at tapping at the Soproni Brewery’s stand. The HB beer group recreates Bavarian beer drinking atmosphere. The Heineken and Soproni Breweries will introduce the process of beer making. You can taste beers from a glass that you buy at the festival venue. Costs 1 490 HUF. A mug of beer will cost 400 HUF, 500 HUF, and 900 HUF depending on beer type. There will be 0.2 L glasses available for those who want to have a couple of beers without getting drunk. 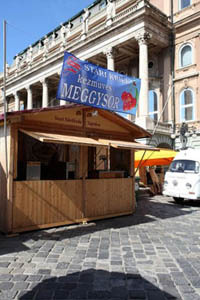 Close to 250 beers can be sampled during the 5-day festival on Szabadság Square near the Parliament. The beer specialties of the largest breweries in Hungary: Dreher, Heineken, and the Pécsi Sörfőzde will be available, but many small, craft breweries will also be represented (twice as many as in 2011). If you don’t like beer you can quench your thirst with cider offered in a special place called Ciderliget, dedicated exclusively to this drink. Visit the event’s site for mor einformation. TIP: If you can’t attend the festival go on our Cruise with Craft Beer Tasting, every day between 19.00 – 21.00. You’ll sample 5 popular Hungarian artisan brews, each sample is 150 ml + you can choose a favourite to have a 1 pint for FREE. 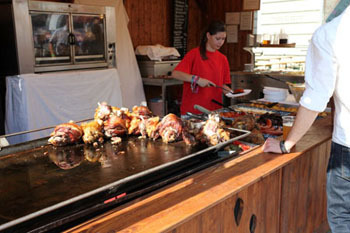 Snacks, live music, a 2-hour river excursion are all included in the price (28 EUR). Find out about other June events in Budapest! See more photos on the Főzdefeszt. Date: 2019 date is not available yet! Location: NEW: Sörház utca 39., Budapest 1222. district XXII. The Festival of Belgian Beers that used to take place on the terraces of the Whale/Bálna Shopping & Cultural Centre, moves to a new venue in 2018. A wide range of Belgian beers (cc. 50) will be available on tap along with other Belgian specialties (cheese, chocolate). Czech beers, gastronomy and concerts are in the focus of the Czech Beer Festival for 10 days in mid-June at a lovely rooftop park in the city centre. Date Has Not Been Finalized Yet! After Munchen, Paris, Dublin and Washington Budapest will have its own Octoberfest at a nice riverside venue in Buda. The cream of the crop of Hungarian, Bavarian and other international craft breweries will be present within a Farmers’ and Gastro fair on the 4-day event. Cultural and fun activities for kids make the festival a great weekend program for the whole family. Daily ticket is 1 990 HUF (incl. a Paulaner beer mug). A very popular event dedicated to artisan brews and breweries organised usually twice a year. A great selection of street food vendors, food trucks are alos present to provide tasty bites with the beers. Find out more about the Főzdefeszt Craft Beer Festival.